Following my trip to Chernobyl, I spent quite a few hours sorting and editing the images that I took in the exclusion zone. I was very happy with the way the pictures turned out and was keen to see them not just on my computer screen but printed properly and hung on my wall. As luck would have it, I recently had the chance to get a high-end print made for me by Saal Digital here in Germany. They offer a full range of prints on various substrates, including acrylic, canvas, foam & aluminium. 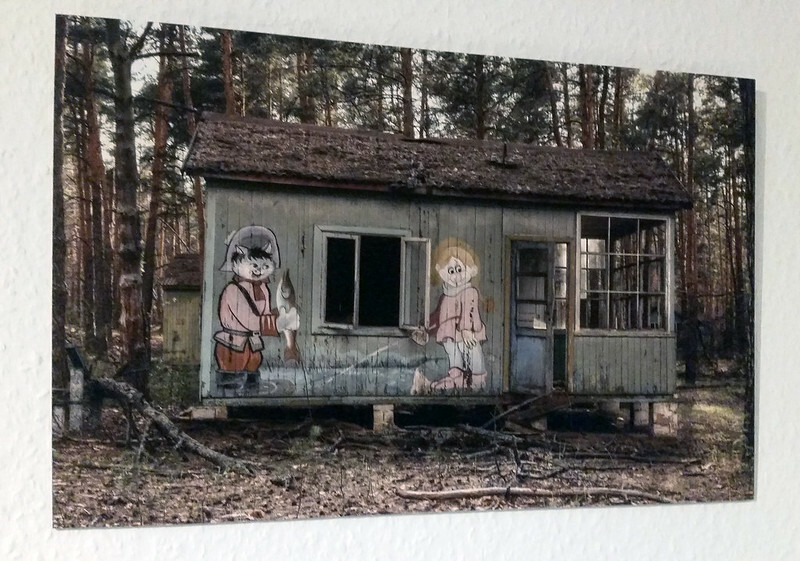 I opted for a 20 x 30cm “Alu-Dibond” print and duly uploaded one of my favorite images from Chernobyl – a picture of one of the huts in the Children’s Summer Camp. I only had to wait a matter of days before my picture arrived back from the lab. It was nicely packed and the quality was beautiful. I lost no time in finding a spot for it on the wall of my office. If you have any blank walls at home, I can’t recommed Saal Digital highly enough. Head over to http://www.saal-digital.de and give them a try!